Located in Prague, Pension Easy Journey is only 300 metres from the Nový Smíchov entertainment centre. It serves a continental breakfast, and offers guestrooms with free Wi-Fi. Easy Journey rooms are heated and have simple furnishings. Rooms have private bathrooms, and come equipped with a TV and electric kettle. 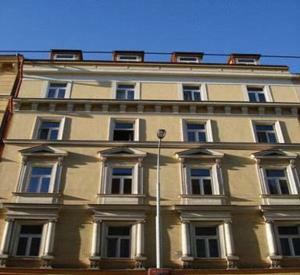 The Pension Easy Journey is 350 metres from the Anděl metro station. The Pension offers 24-hour front desk service. Free public parking is possible at a location nearby.